Fred Armisen is an award-winning American comedian, he is also a writer, an actor as well as a musician. He was a cast member of the legendary comedy show, Saturday Night Live for 13 years and also one of the brains behind the successful satirical show Portlandia. Find out more about this incredibly talented guy who can do a perfect impression of President Obama in one breath and Queen Elizabeth II in the next. 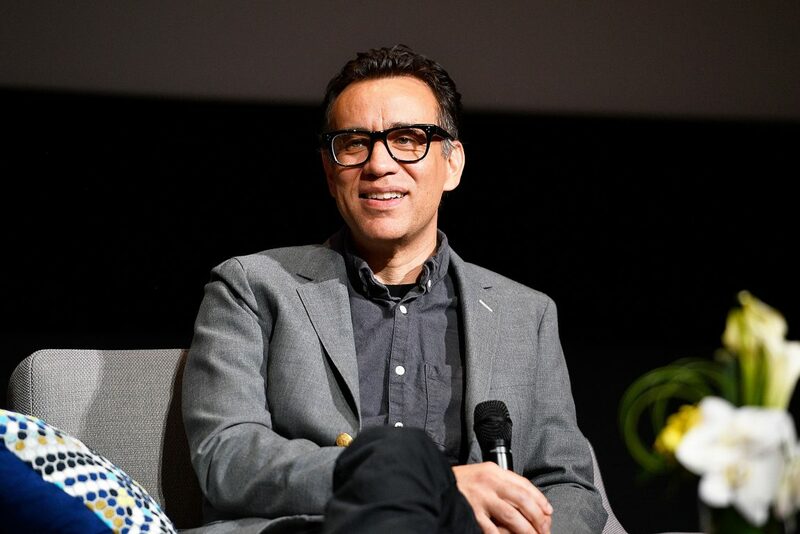 Fred Armisen was born in the town of Hattiesburg, Mississippi on the 4th of December 1966. His mother, Hildegard is originally from Venezuela while his father Fereydun Herbert Armisen had a German mother and a Korean father. Fred Armisen, therefore, has a multiracial background being part Venezuelan, part German and part Korean. His nationality is American. Armisen previously believed that his Grandfather, Masami Kuni was Japanese. However, in 2017, he appeared on the PBS series Finding Your Roots where he learned that his grandfather was Korean, not Japanese and was born Park Yeong-in in Korea in 1908. His grandfather was a renowned dancer who performed for the German Army during the Nazi Era. Some people also believe that he was a spy for the Japanese empire though there is no evidence to support this. It was while performing in various German and European cities that Armisen’s grandfather met his grandmother, a German girl with whom he had an affair. Not much is known about Armisen’s family including whether he had siblings. We, however, do know that he grew up and had his high school education in Valley Stream, a village in Nassau County, New York. While growing up, Armisen’s ambition was to be a musician. He fell in love with rock music at an early stage and hoped to end up as a drummer in a rock band. He dropped out of the School of Visual Arts in Manhattan to pursue his dream and was a member of various rock bands in the 1980s and 1990s. One of such bands was Trenchmouth. However, it was his comedic and acting talent that eventually stood out and shot him to stardom. Armisen joined the cast of Saturday Night Live as a day player in 2002 and was made a regular cast member in 2004, a role he would play up until 2013, making him one of their longest lasting cast members. While on Saturday Night Live, Fred Armisen played several regular characters and did impressions of scores of notable personalities such as Prince, Steve Jobs, Michael Bloomberg, Hosni Mubarak, Elvis Presley, Hugo Chavez. Armisen has also featured in several comedy movies including Easy A (2010), Baby Mama (2008), and Will Ferrel’s Anchorman: The Legend of Ron Burgundy. One of Armisen’s most notable works till date is the critically acclaimed and award-winning satirical series Portlandia which he starred in. He created the show together with co-star Carrie Brownstein and director, Jonathan Krispel. It is set in Portland, Oregon and pokes fun at the lives of Portland residents. The show was a hit and received favorable reviews from critics. It also received multiple Emmy and Peabody nominations and won the 2012 Peabody Area of Excellence Award. Armisen also earned nods for not only his acting on the show but also his writing. Through all this, Armisen has not forgotten his first love which is music. He has worked with many musicians, including Joanna Newsom, in different capacities. He regularly plays musical instruments on his comedy shows and also plays characters that are musicians. At present, Armisen is a member of the in-house band of the comedy show, Late Night with Seth Meyers. Is Fred Armisen Gay? Who Is He Dating? Is He Married? we can authoritatively say that Fred Armisen isn’t gay as he has been in various relationships over the years and all of them have been with Women. Armisen got married for the first time in 1998 to Sally Timms. She was English and also a budding musician like Armisen at the time. It seems the marriage was not out of love but out of necessity as Armisen stated that they got married so that she could get a green card or a visa. The two were officially married for seven years and divorced in 2004. In 2008, he began a relationship with Mad Men actress Elisabeth Moss. The two dated for a year before walking down the aisle in a lavish ceremony in October 2009. The marriage however only lasted eight months and Moss filed for divorce in September 2010. The divorce became final in May 2011. Moss later revealed that the marriage was traumatic, awful and horrible and that she was glad that they did not have any children together. Armisen himself also admitted that he was a terrible husband. 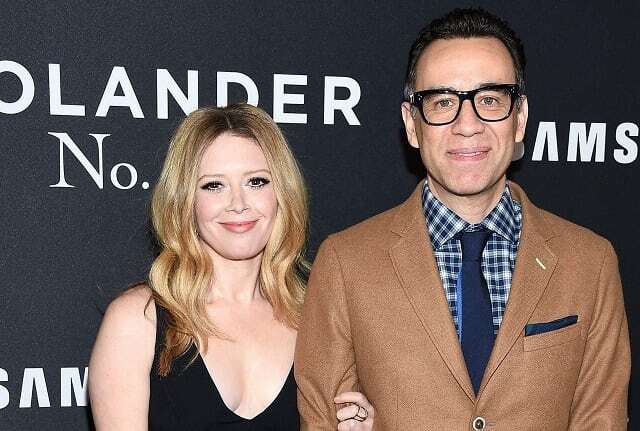 Presently, Fred Armisen is in a relationship with Orange is the New Black actress Natasha Lyonne. The two have been going steady since 2014. We do not know whether Fred Armisen has a sister or not but we do know that he had a guest appearance on Sister City, an episode of the award-winning NBC political satire, Parks and Recreation. In Sister City, which was the fifth episode of the second season of the show, Armisen plays the role of the leader of a Venezuelan government delegation which had come to visit the fictional city of Pawnee in Indiana.